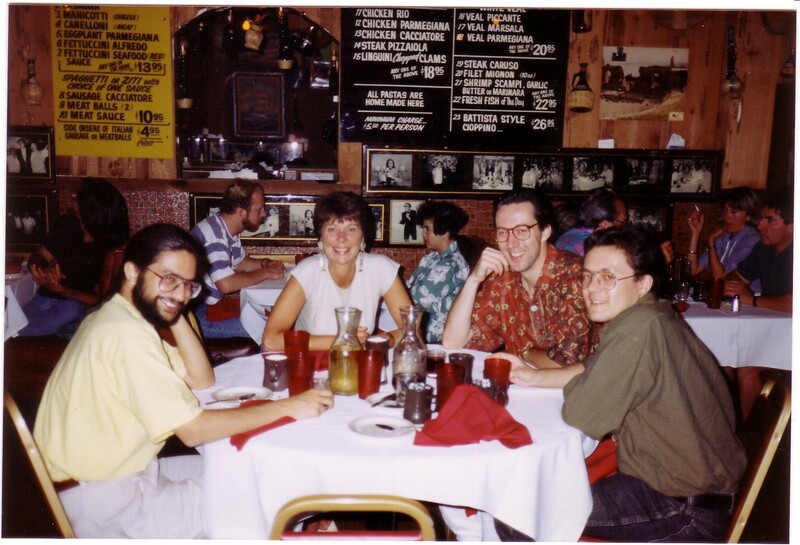 The first photo from left to right shows Rabin, Michelle Paradis (friend of Mel), Adam Billyard and David Lau-Kee. 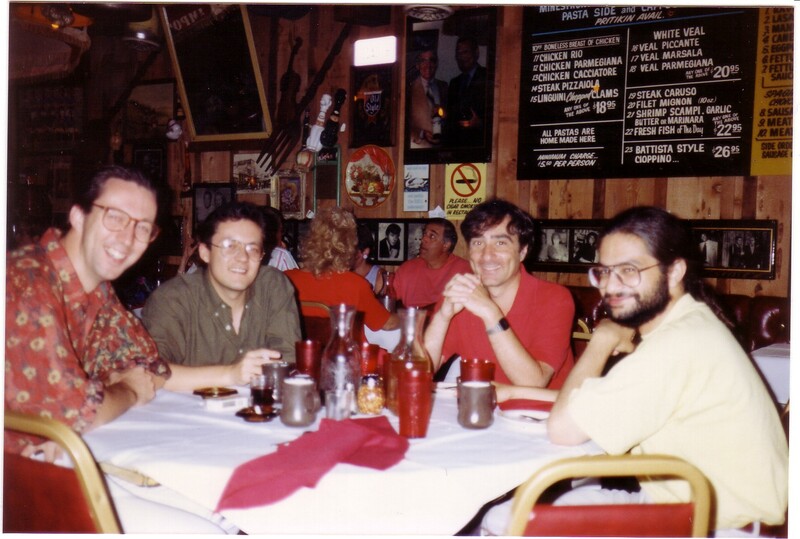 The second photo shows Adam, David, Mel and Rabin. 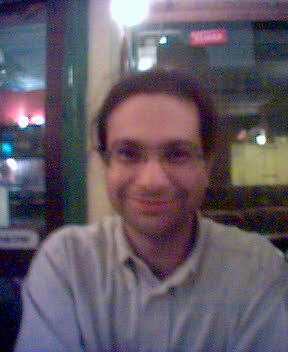 A Camera-phone picture showing Rabin in a Thai restaurant off Tottenham Court Road on 12/02/2004 at one of the regular "beer- followed-by-thai-food" get-togethers that we used to have with various QMW people, and still do (It's not the same without him) - supplied by Michael Osborne. Further pictures of Rabin skiing and others - supplied by his parents.